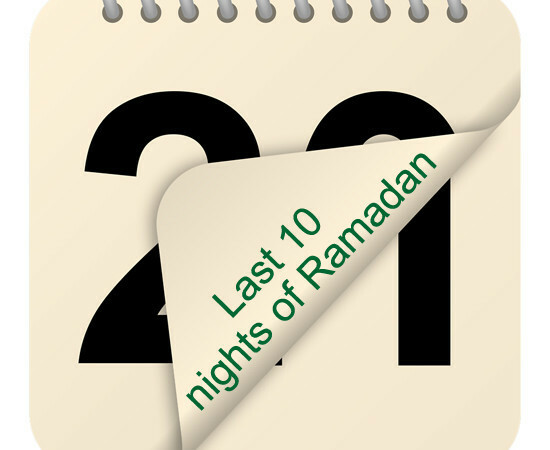 Therefore we should strive to stay up & worship on all of the last 10 nights of Ramadan. If we can’t do that then we should at least worship on the odd numbered nights of the last ten days. If we still can’t manage that then let us pray on whatever nights we can, minimum on the 27th night. There is NO doubt that if we pray on all of the last ten nights of Ramadan then we will catch this auspicious night & gain the rewards of over 83 YEARS OF IBAADAH! Subhaanallah! Most do not live upto such an age! He said: “Allahumma innaka ‘afuwwun tuhibbul ‘afwa fa’fu ‘annee O Allah, You are pardoning & You love to pardon, so pardon me.’ “ (Ahmad, Ibn Majah, & Tirmidhi).